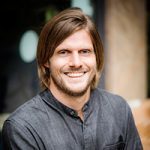 Before you go “tofu in a smoothie?! Get out of here!” here me out. Tofu is in many ways great, rich in protein, low in carbs and cheap. However (according to me) it lacks that tasting sensation. I was of this belief until I realised that tofu absorbs flavours like a sponge. I mean, I had marinated tofu earlier (with various results), but when you blend it with the flavours, that’s when it gets really interesting. 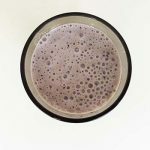 This creamy banana blueberry tofu smoothie works wonders as a breakfast before a hard training session. Few things beat a smoothie snack wise. It’s easy and quick to make, easy to digest, it re-hydrates you and (most of the time, hopefully) it tastes good. 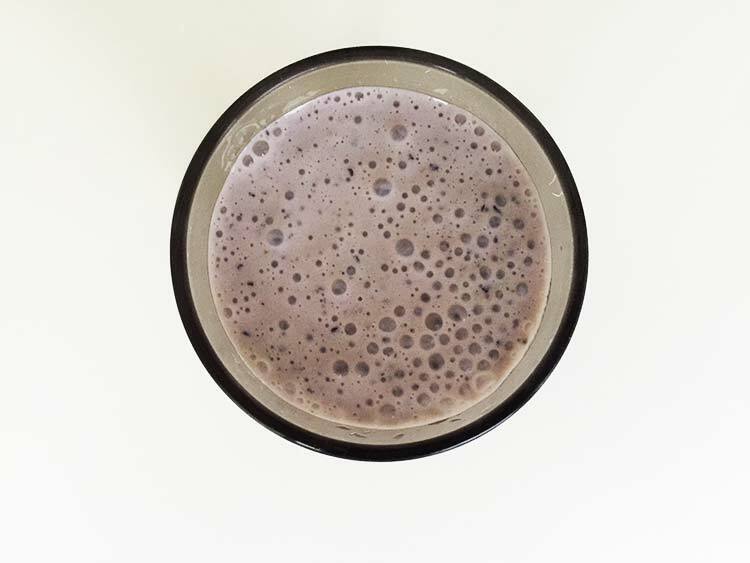 In this particular smoothie, you get a rich amount of antioxidants from the blueberries, dietary fibres from the banana and proteins from the tofu and hemp seeds, making it not only a delicious drink but also a nutrient-packed super drink. 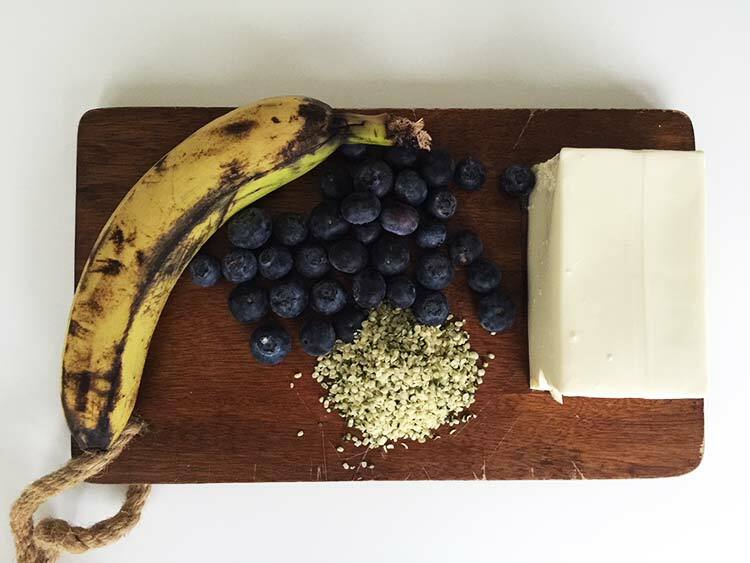 The blueberries are very rich in antioxidants, the banana is high in fibre and the tofu and hemp add a bunch of complete proteins. All of this but still low in carbs, how great is that? Add everything in a blender except the non-dairy milk and start to mix. Gradually add the non-dairy milk until you reach the consistency that you want.